If automotive archeologists someday unearth my first car, they won’t have much to debate as to why a young driver piloted a 1987 Accord sedan. It was very obviously mom’s car, passed down to the kids to thrash on. 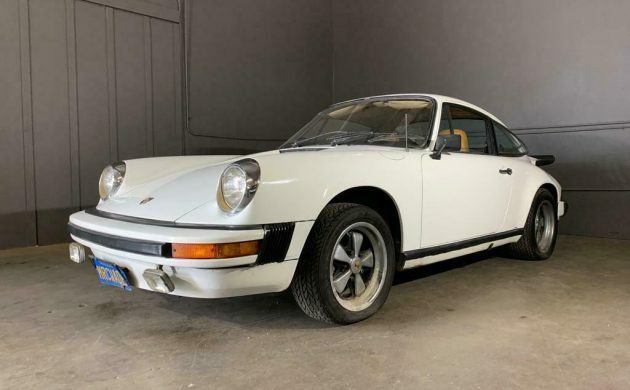 Some families are different, however, such as the ones that left this 1974 Porsche 911 Carrera here on eBay for their two boys to enjoy, as the seller notes it has been in one family ownership since new and used primarily by two brothers. Of course, the 911 was likely discovered in Orange County, where these types of things happen often. 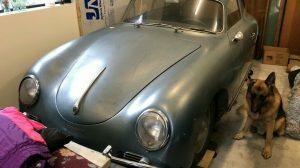 Impressively, it still starts and runs despite just recently being drug out of hibernation. 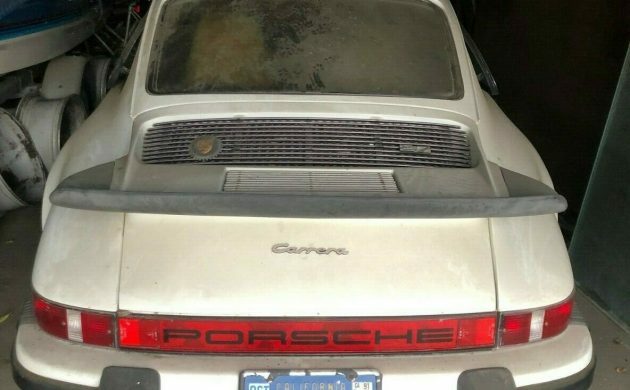 The whale tail spoiler is a take-it-or-leave it affair (I say take it, as these early cars look much better wing-less), but given the paint is believed to be all-original, there’s a chance this was installed as a factory option. I thought the grill badge might be a PCA emblem, but it looks a generic bit of engine lid dressing. The nose sits high, almost what you’d expect out of a front-engined car with its source of propulsion removed. The paint cleans up nicely, and despite supposedly being in the hands of adolescent owners, the body looks quite good. The Fuchs wheels are OEM correct and look sharp with the black centers, but I can’t help but feel the 911 would look much better with a slight suspension drop, or at least a reset to the lower European ride height. 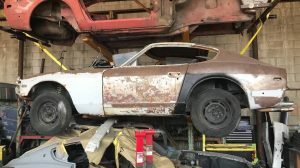 The seller says the floors are sound, as you’d expect for a California car. Door jambs show no evidence of repaint, from the original VIN stickers being in place to the color code plaque showing no signs of overspray. 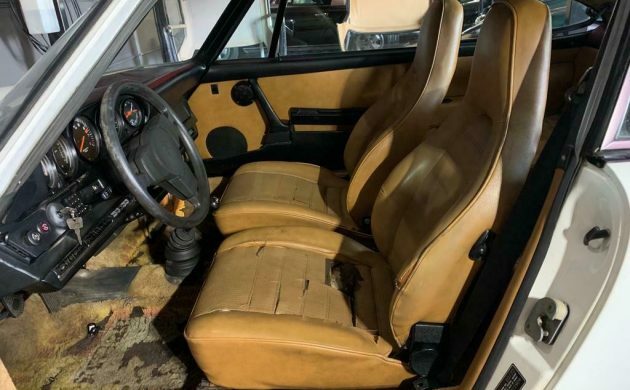 The carpets are tired and the seats need some work, but overall, there’s little to question here in terms of this 911’s status as a nicely preserved survivor. 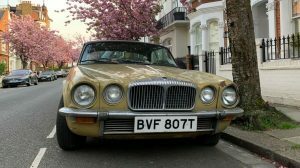 The seller says reconditioning will be required, but that’s to be expected for a car parked this long. 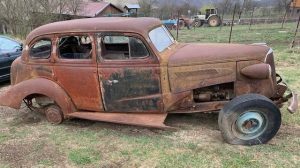 The asking price is $49,500 or best offer. Seems reasonable given the prices these are getting. Lucky guys to have this as a first car. Hmm, reminds me of the joke about the difference between “potentially and realistically”. 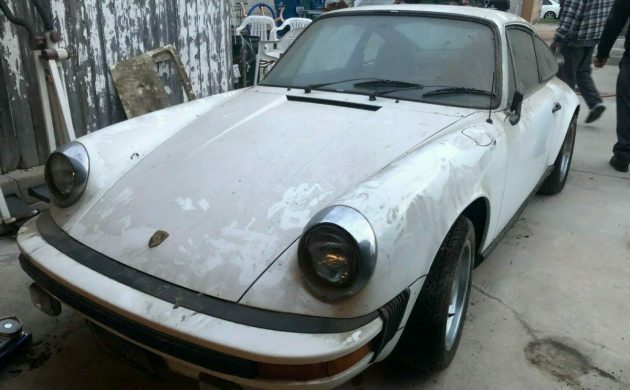 I understand 911’s are all the rage now, but fifty large for a less-desirable 2.7 series needing work? Does not compute. Pass…..spend your money on a C2 Corvette already restored and ready to go. Hasn’t this ship sailed? I had heard the prices were coming back down a bit. Nice examples are readily found for less than this asking price. Why is it human nature it seems, to ask twice what an item is worth? Maybe because you will never be offered MORE than your asking price?